More from Ora: Suze Orman Sounds Off on the Minimum Wage, 'Doomed' Americans, and Her Pick for President! 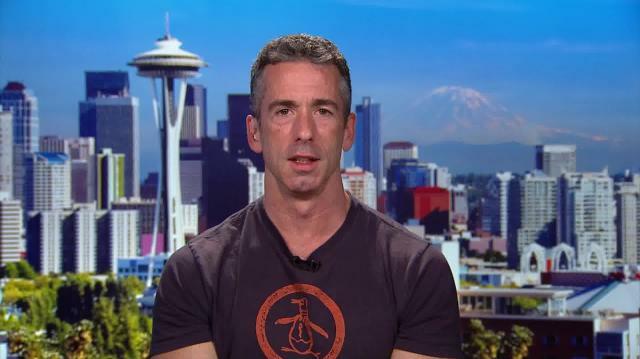 Author, columnist & commentator Dan Savage joins Larry with his take on the media's portrayal of gays, why he wants the Constitution amended & what he really thinks about gay Republicans. Then, the head of Log Cabin Republicans, Gregory Angelo, responds. Dan Savage Blasts Log Cabin Republicans; The Group's Head Fires Back. Suze Orman Sounds Off on the Minimum Wage, 'Doomed' Americans, and Her Pick for President!